The diverse nature of our planet has always inspired curiosity in people young and old. National Geographic, in association with Global Experience Specialists, appeals to that curiosity with their exhibition National Geographic Presents: Earth Explorers, which arrived at the Manitoba Museum as part of its tour across North America on Oct. 3. It is an immersive experience of some of the most interesting places on Earth. The exhibition features five different environments and a base. The Base Camp begins the exhibit and features an off-road vehicle. Other stations include a visit to the African savannah which has a virtual hot air balloon that visitors can step into, a model of the living conditions in the Arctic, an interactive look at the Himalayas through the Mountains and Caves installation, the variety of insects in the Amazon rainforests, and – my personal favorite – an interactive model submersible that uses surrounding video to mimic deep-sea diving. These eco-zones all offer their own separate activities. While there is plenty of reading material, National Geographic has also provided an app to pair with the exhibit. Before visiting, download the “Earth Explorers Air Experience” app, available for both Android and iOS platforms, on your smartphone or tablet. There are several areas in the exhibit that provide an interactive experience if scanned using the app. Earth Explorers appeals to all ages. Adults will enjoy the in-depth descriptions of the environments and the explorers who are studying them at every eco-zone. The interactive elements of the exhibit, such as the thermal camera at the Arctic cabin or the touchable fake animal droppings, will appeal to kids and parents alike. While the official blog of the Manitoba Museum says that the exhibit is most suitable for children in Grade 3 and up, the museum is also offering a specialized version of the Earth Explorers programming designed for pre-school aged children from 9 a.m. to noon most Mondays for the duration of the exhibit. Along with Mini-Explorer Mondays, the museum is also offering a program in association with Petland. On select days for the duration of the exhibit, pet counsellors from Petland will be at the exhibit with live animals. I had the opportunity to visit the Earth Explorers exhibit right before it officially opened. The visuals were beautiful, a trademark of National Geographic at this point, and the various sculptures (such as a great white shark fitted with a ‘crittercam,’ a tool used by explorers and photographers) were colorful and interesting. A personal favorite feature of the exhibit was the focus on the people who help us decipher our world – National Geographic’s scientists, filmmakers, and photographers. Both text and video content provide insight into how and why these people are so motivated to discover the unknown. The fact that I’m an adult did not stop me from enjoying even the most kid-friendly features, such as the crystals displayed at the cave area of the exhibit, or the ice plate at the Polar installation that lets you test how well different gloves fare against the cold winter. The Manitoba Museum has always been a pillar of the science community in Manitoba, and their determination to provide world-class exhibits has been proven time and time again. This time is no different. 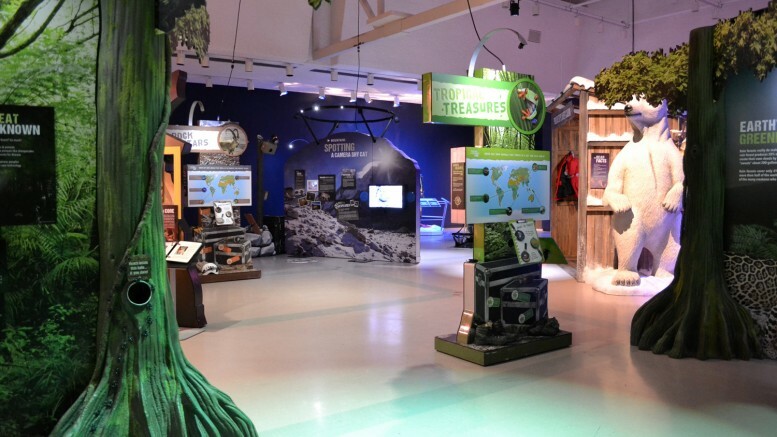 Whether you are already a nature enthusiast, or just curious about what there is to see and do, visit the Earth Explorers exhibit. This virtual trip around the world is accessible, innovative, and a lot of fun. 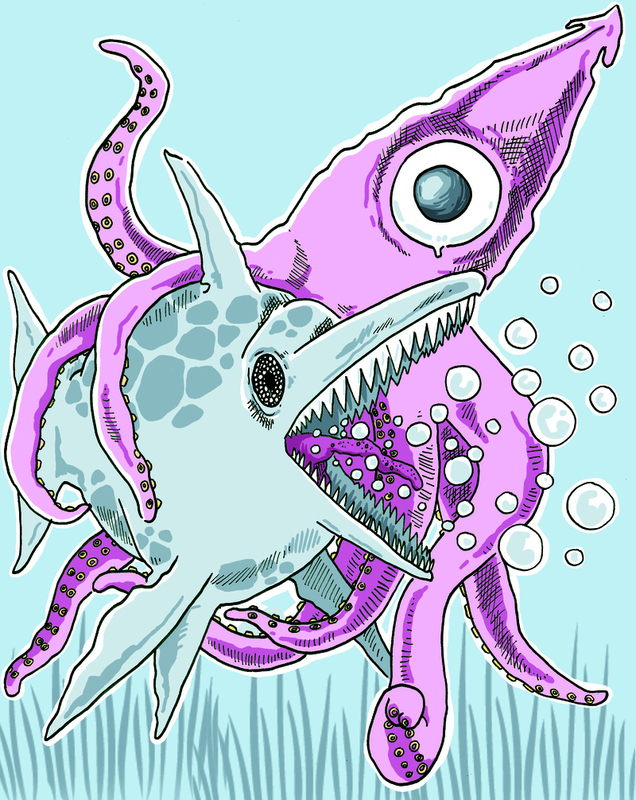 Ichthyosaurs killed by mythical kraken?